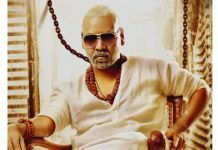 Tamil actor-activist Vishal Krishna was arrested on December 20 for breaking the lock of the Tamil Film Producers Council (TFPC) of which he is the elected President, and entering forcibly. 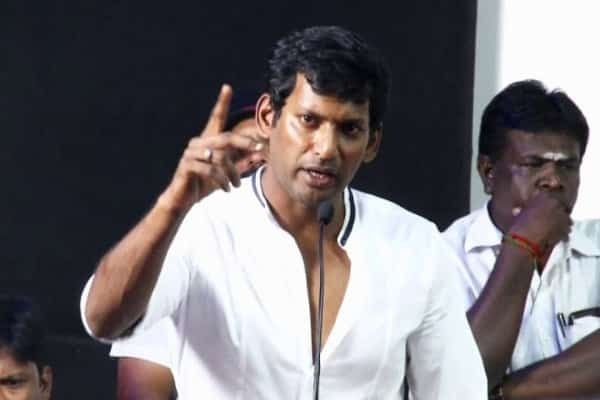 Disgruntled producers who locked Vishal out have accused him of financial irregularities. But the actor, now freed after a favourable ruling by the court, remains unfazed. That arrest must have shocked you? Very much so. I was shocked. I knew I had made many enemies…or rather I wouldn’t call them enemies, but people who are not on the same page as me…Ironically they slapped me with charges from the wrong section and arrested me. You took over as the President of the TFPC with a lot of hope and passion. Do you see recent developments as discouraging? Not at all. We’ve scored many successes, the biggest of them being the number of hit films in Tamil in 2018. It is the highest number in recent times. Do you know why this happened? Because producers co-operated and did not insist on releasing two or more films on the same Friday. Instead the films were spaced out and came out one after the other week after week. And we Indians don’t care for change unless forced? Exactly. It takes a lot of effort to bring about any change in any industry or any section of society for that matter. There will be voices of dissent wherever there is change. Even in parliament you have a vocal opposition. But don’t confuse bullying with a healthy opposition. I welcome healthy debate and dissent, not these pressure tactics. Disgruntled producers have accused you of misappropriating funds and even being hand-in-glove with film piracy outfits? As far as being hand-in-glove with those very elements that I’ve been fighting against goes, I can only laugh at these absurd attempts to discredit me. Misappropriation of funds…every single penny is accounted for. There are bills for every transaction. I come from a background where I don’t need to make money inappropriately. How and why did your opponents come up with such wild allegations? I will tell you what their main problem with me is. These disgruntled elements feel I will be contesting Lok Sabha elections in 2019. I don’t know why that should intimidate them. All I know is, they don’t want radical changes in the Tamil film industry. All along, the entertainment industry has been working in a particular way. Did you see these disgruntled elements coming at you? Oh yes, they have been gathering around with their protests against me. But to go to these absurd lengths…I am so glad the honourable court took immediate action. Now I am going ahead and pressing charges against those who have made these allegations against me. How do you look back on the incident? Every incident good or bad is a learning experience. This incident has me stronger and wiser. I now realise that your enemies can go to any lengths. I remained calm and composed throughout the episode. It gave me a lot of reason to laugh. We go on with what we were doing. We are planning a big event to honour Ilaiyaraja. We would rather focus on fruitful matters than waste time in kitchen politics. I am glad of the support I got from the entertainment industry.